Perfect for Halloween, scary characters from the big screen are brought down in size with 2016 Funko Horror Classics Mystery Minis Series 3. Horror fans will find familiar faces in each mystery box. Most of the figures are essentially miniature replicas of their Pop! horror vinyl figures, including Jason Voorhees and Freddy Krueger. Series 3 continues the mystery aspect as they are issued in a blind-box format and packaged by the case. This keeps the contents of each box a surprise until opened since all boxes look and feel the same. 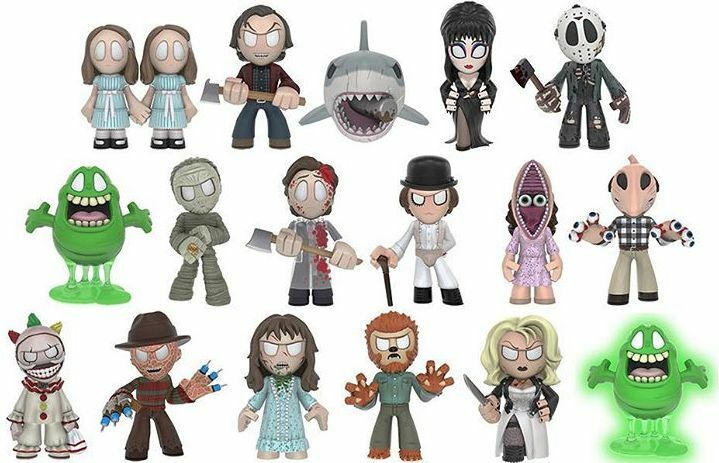 Shop for Funko Horror Classic Mystery Minis Series 3 figures on eBay. Covering a wide mix of eras and films, collectors can find representatives from Jaws, Ghostbusters and A Clockwork Orange in Funko Horror Classics Mystery Minis Series 3. 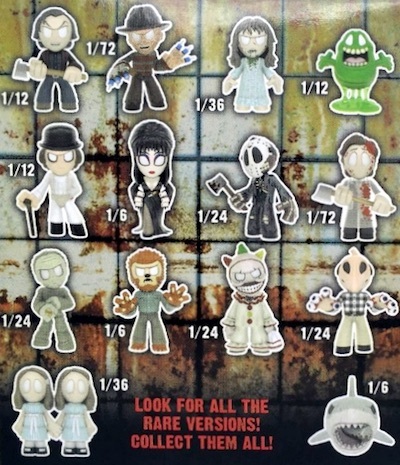 It appears there are 14 minis in the main release, and at least 3 additional exclusives. However, because each case contains just 12 figures, set collectors will likely need to open more than one case or look for singles to complete the entire series. The main box odds for 2016 Funko Horror Classics Mystery Minis Series 3 can be seen below. Exclusive figure odds will be added when available. Each figure is approximately 2 1/2" tall. Exclusive figures are noted below, however, no announcement as to the specific retail outlet(s) has been released.